Emma Stone made her debut as an actress live on stage as part of the production of Kenneth Grahame’s The Wind in the Willows. The actress went on to join the film industry and starred in various movies including, The Help, Crazy, Stupid, Love and The Amazing Spiderman. She was also nominated for an Oscar for her amazing performance in the comedic drama Birdman or (The Unexpected Virtue of Ignorance). Jennifer Aniston is most infamously known as the first wife of Brad Pitt. However, the beautiful actress has had many entertaining accomplishments, including being apart of one of the longest run television sitcoms, Friends. She has also starred in over 25 movies, including Horrible Bosses, He’s Just Not That Into You and The Switch. Most importantly, amidst all the personal relationship controversy, the actress maintained her dignity and always showed up with a smile. Jennifer Lawrence is a young actress that first appeared on television screens as part of the TBS sitcom The Bill Engvall Show. The actress seemed to find a love for dramatic films starring in movies such as The Burning Plain, X-Men First Class and The Hunger Games’ popular movie franchise. She also won an Screen Actors Guild Award, Academy Award and Golden Globe for her stellar performance in the romantic comedy film Silver Linings Playbook. In addition, she won a BAFTA Award and Golden Globe for her supporting acting role in American Hustle. Jessica Alba is not only well-known for her acting abilities but also her business acumen. The actress got her start appearing in films at the young age of 13 in the movies Camp Nowhere and The Secret World of Alex Mack. However, he most notable role included the movies Honey, Sin City and the Fantastic Four. When it comes to managing businesses, Alba has her hands full dealing with the successful Honest Company, which focuses on parent and children products, and has amassed her a fortune in excess of a billion dollars. Julia Roberts will remain most well-known for her outstanding performance as the beautiful prostitute in the movie Pretty Woman. Since then, she has appeared in over 40 films, including Notting Hill, Runaway Bride and Conspiracy Theory. Roberts went on to win an Academy Award for her Erin Brockovich starring role as well as three Golden Globes for her performances in the films Pretty Woman, Steel Magnolias and Erin Brockovich. Kerry Washington was first recognized for her performance in Bad Company and Save the Last Dance. Then later went on to star in movies such as Ray, Mr. & Mrs. Smith and most recently Django Unchained. However, she is most well-known and highly celebrated as the problem solver for her starring role in the television drama series Scandal. Additionally, she continues to dazzle and surprise us with her unique red carpet high fashion selections. Mila Kunis’ notoriety began with her role on the sitcom That ’70s Show. She went on to co-star in a variety of films, including Forgetting Sarah Marshall, Black Swan and Ted. She is currently dating and has a child with her former co-star from That ’70s Show, Ashton Kutcher. Natalie Portman was first brought to the attention of fans as an actress in the Star Wars prequel trilogy. She has starred in quite a few movies, including V for Vendetta, Thor and No Strings Attached. The actress also won an Oscar in 2011 for her role in Black Swan. Scarlett Johansson is well-known for her acting, modeling and singing abilities. She got her acting start live on the stage acting in a variety of different plays. Johansson has starred in quite a few notable movies including The Avengers, The Prestige and The Iron Man. In addition, she has been nominated for a Golden Globe over four times. Taraji P Henson got her first breakthrough role acting alongside Tyrese Gibson in the film Baby Boy. This debut led to a variety of movie roles, which include Hustle and Flow, No Good Deed and Think Like a Man. 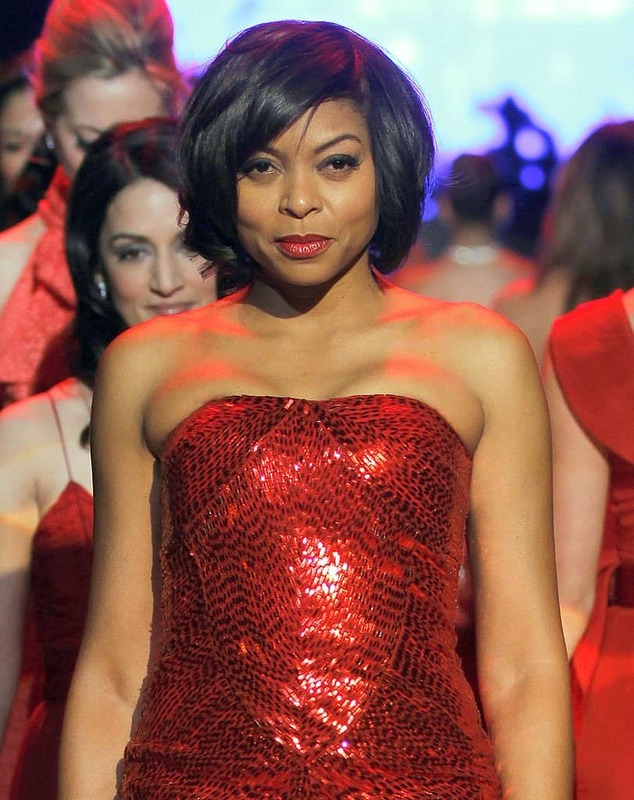 Henson went on to win an Academy Award for her contribution to the song “It’s Hard Out Here for a Pimp,” which was part of the soundtrack for Hustle and Flow. She had a starring role in the television series Person of Interest, but left this role to star as the popular Cookie Lyon in the hit television series Empire. Zoe Saldana continues to provide her fans with lively entertainment, starring in a variety of different roles throughout her career. The actress started out with roles in movies such as Drumline and Crossroads. However, she is most well-known for her mega hit movies Star Trek and Avatar. In addition, Saldana has modeled for the fashion companies Calvin Klein and The Gap.